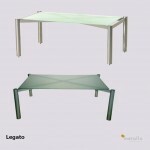 Glass top tables with round legs and feature cross bracing. Coffee, console and side table furniture items. 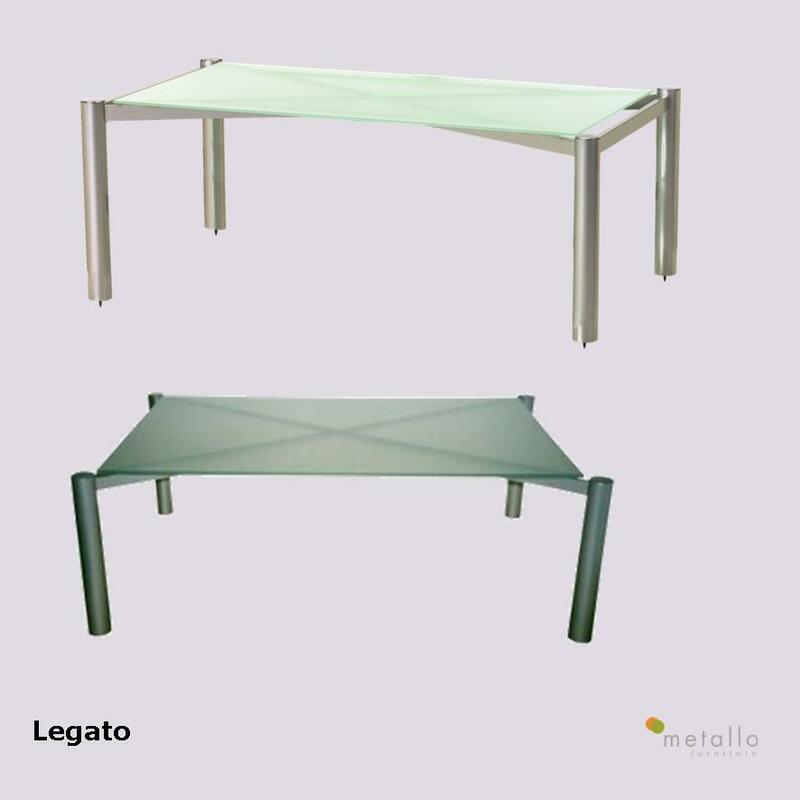 Also available, with the same frame construction, Legato Audio and Television Racks .